Skycube Residence is located at Sungai Ara, Penang, a new property project by GSD Land. 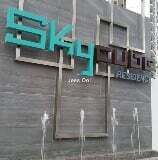 Skycube Resi. High-high floor on FIRE sales at SPA price. Type B1 brand new unit. Beautiful Mountain View & refreshing breeze. Setia Tri-Angle is an integrated property development located at Setia Pearl Island in Sungai Ara, P.
Garden Ville Condo @ Sungai Ara near Spice Arena, Fairview International School, Penang Internationa. Skycube Residence is located at Sungai Ara neighbouring with Gardens Ville, Iconic SKies, Setia Pinn.